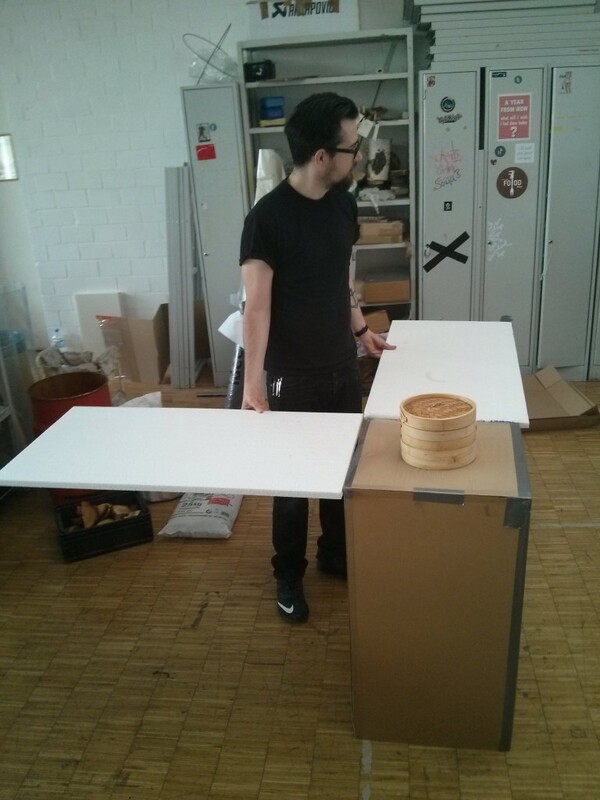 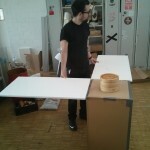 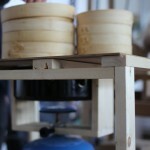 I developed, built and ran a dumpling kitchen. 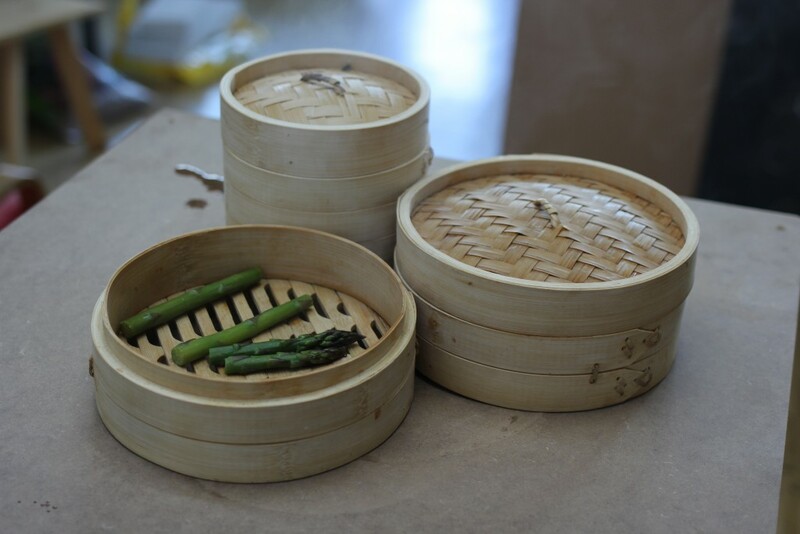 During this project I researched methods of cooking and chose to concentrate on steamed filled dough pieces, as those are traditionally found throughout the world and in great variety. 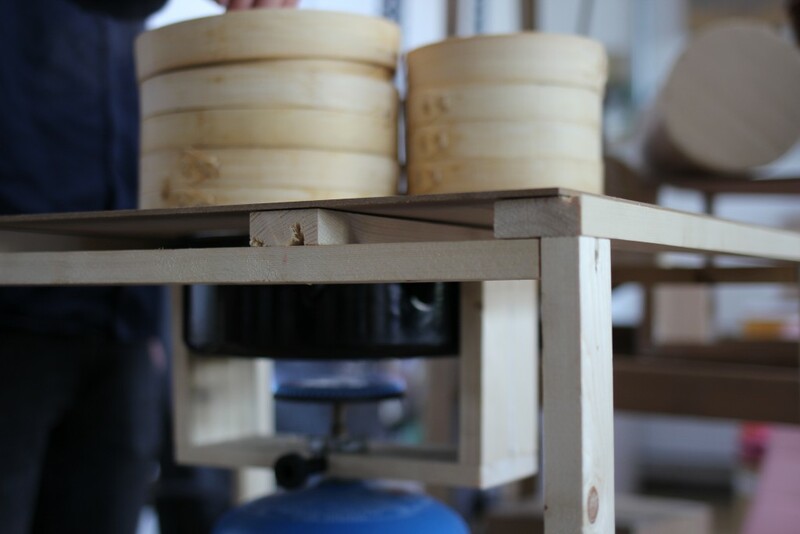 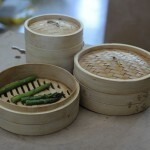 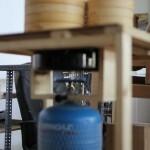 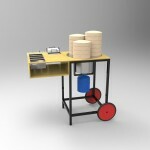 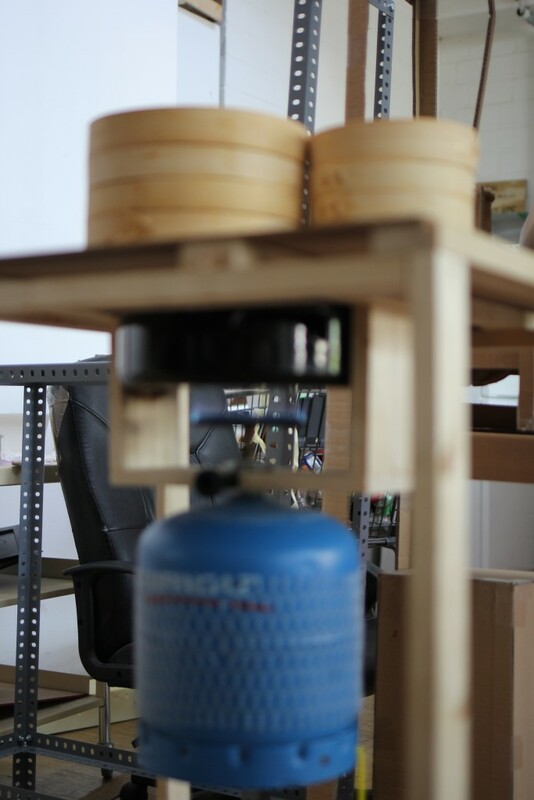 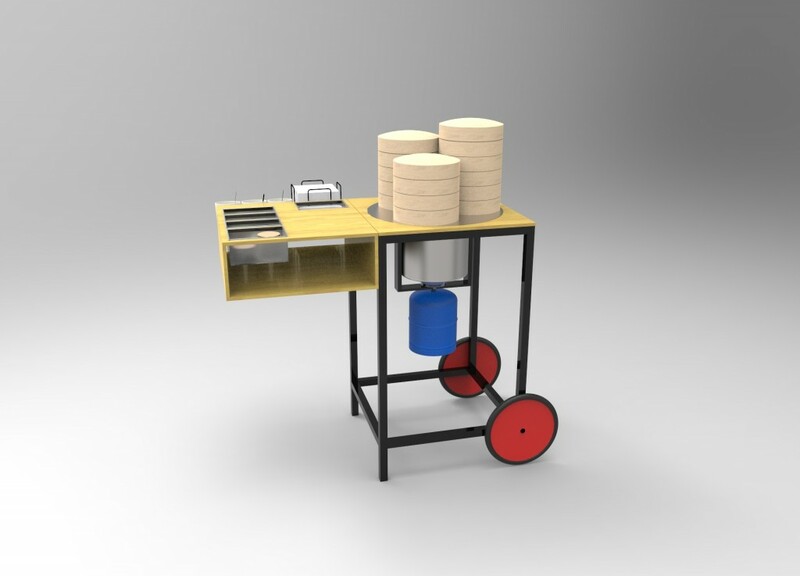 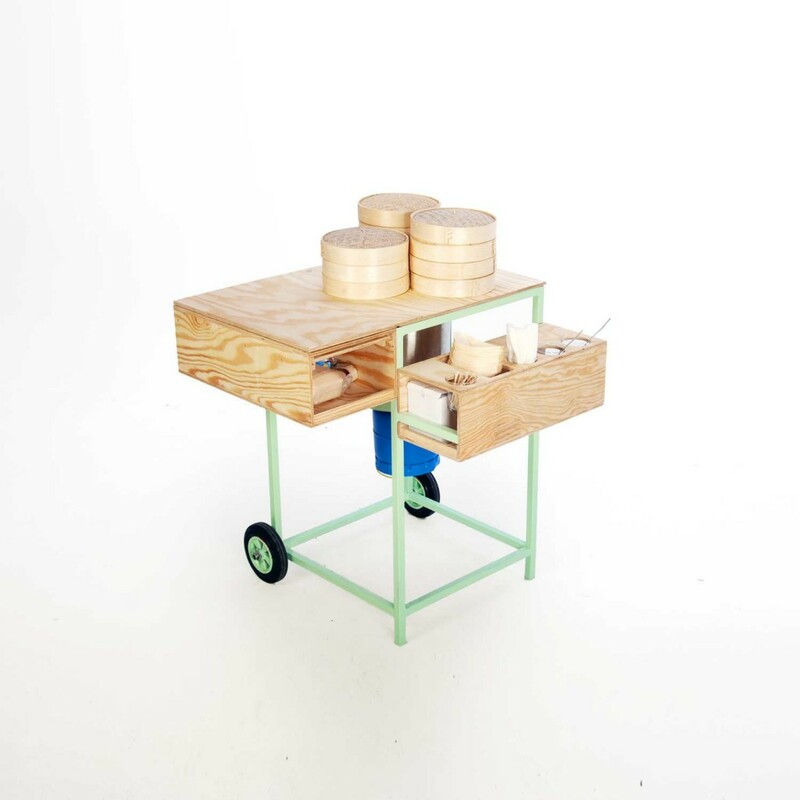 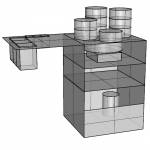 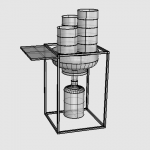 I developed a rotating system using three towers of bamboo steamers that enabled the dumplings to be cooked and held at optimal temperature with a small spatial footprint. 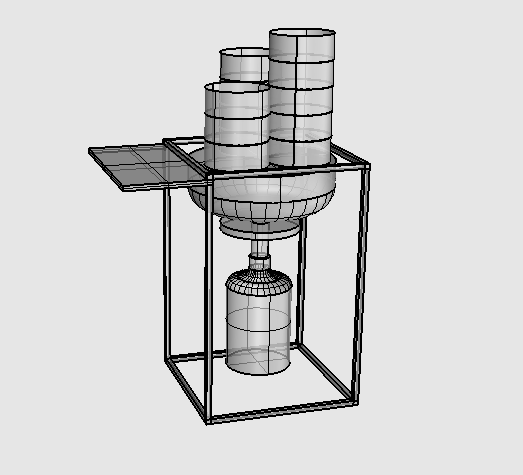 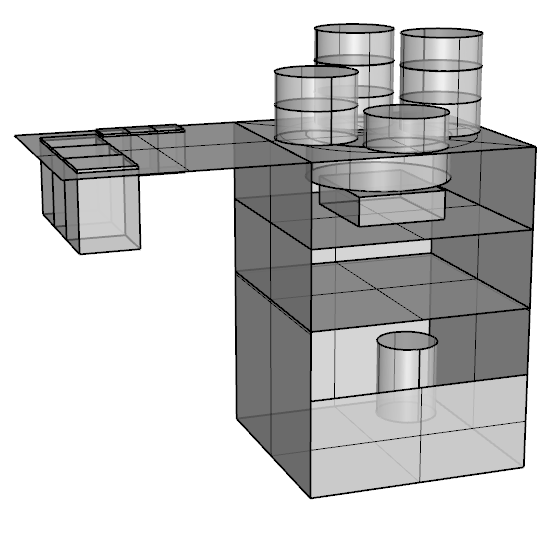 I decided to further reduce the kitchens size by making parts of it retractable, making it easier to transport and store when not in use, while still having everything needed to fill and make the dumplings at arm’s reach.